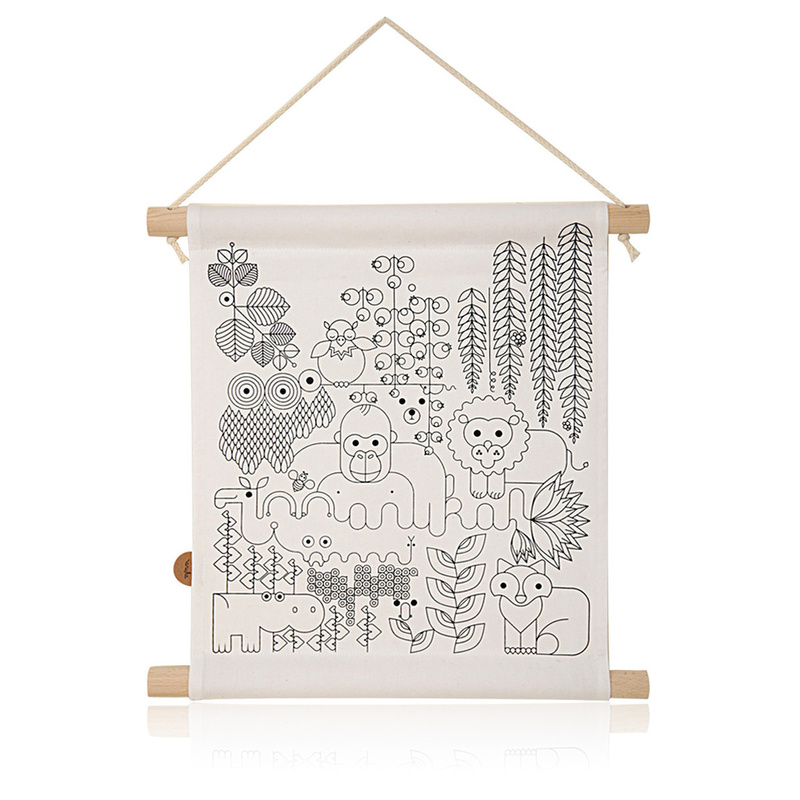 The Jungle print: a simple and brilliant item born for children but also popular with adults! 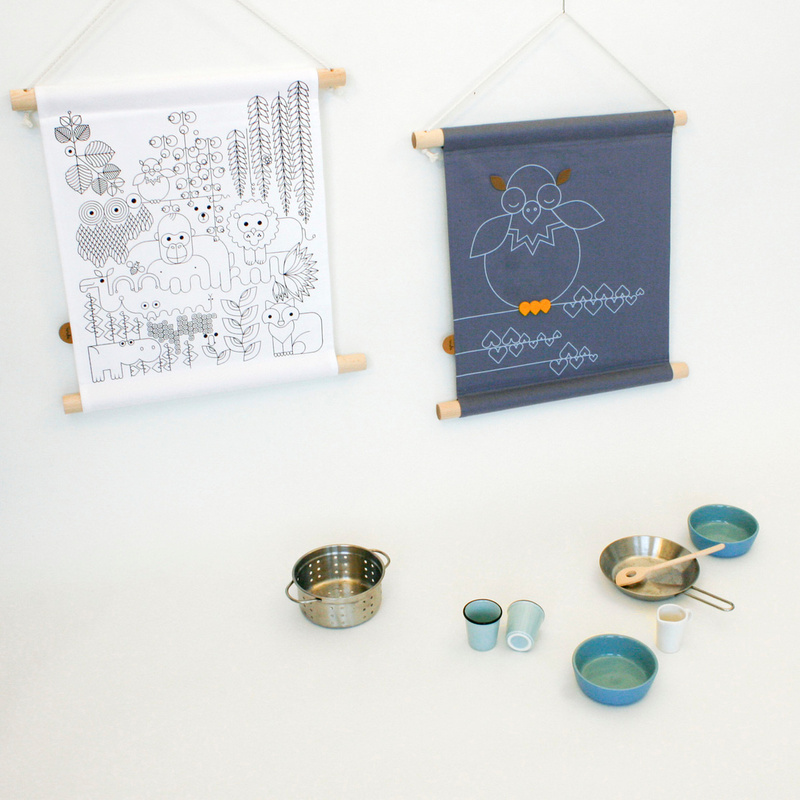 Anuka is a brand specialized in designing children's objects, but it is not uncommon for its proposals to be chosen by adults to decorate the most diverse contexts, being considered brilliant and eye-catching. Among them is undoubtedly the Jungle print, a pretty and lively item but sober at the same time, perfect in a child's room as well as in other environments as it gives them a pleasant touch of informality. Suitable even for small walls, this print is made in a soft cotton, very pleasant to the touch, and it is enriched with some wooden elements that support it while a special rope allows you to hang it on a hook or nail. Simple yet rich in details, this print resembles a child’s drawing and depicts a jungle complete with lions, hippos, and gorillas, all animals featured in other pieces by Anuka and thus making it easy to match the print with other items. Easy to wash in the washing machine (30°C), the Jungle print can also be a wonderful idea for a gift, simple and informal but sure to be appreciated. As mentioned above, it is destined for a child’s room yet it can be a great item to enrich other areas such as living rooms and entrance halls thanks to it great decorative value.